Triple net lease real estate is popular among commercial investors who are looking for properties that are relatively low-risk but offer high returns without a substantial amount of management or oversight as a landlord. Single tenant net lease properties can be ideal investors with these investment qualifications, because you’re dealing with one property, one long-term tenant (of anywhere from 10 to 25 years depending on the lease) and one set of agreement stipulations between you and the tenant. Multi-tenant net leases, however, tend to more complex since you’ll be dealing with multiple tenants who will potentially all have different terms (and timeframes) outlined in their leases. As you’re looking into single net lease properties, you may wonder exactly how these types of properties are valued. This post will explain the single tenant net lease valuation model and outline the benefits (financial and otherwise) that you can expect when you invest in single net lease real estate. 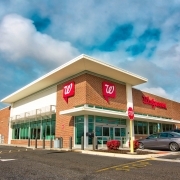 How Is the Valuation of Single Net Lease Properties Determined? While this simple formula will provide a good idea as to the current valuation of the single tenant net lease property, there are many factors that could change the value when you’re looking at the investment from a long-term standpoint. Changes in the market or the area where you buy, or a tenant lease change over could reduce the NOI and change the outlook of your investment. So while looking at property valuations is an important step in determining the current worth of a single tenant net lease investment, accounting for factors outside the numbers themselves will give you a more accurate picture of what you can expect over time. Net lease advisors, with keen market insight and experience can help you understand current valuations and advise you on how they’ll play out over time as well. 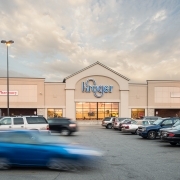 Single tenant net leases are becoming a more a popular investment choice as the popularity of malls dwindles and due to the many perks they offer for an investor (and a tenant who gets to be the sole business and brand operating in the building). Purchasing a single tenant net lease property is a large investment, and one you need to make with careful consideration to the type of business location you’re buying and what type of longevity long-term tenants can create in that location. There are a lot of factors that go into evaluating a single tenant net lease property, and working with a skilled team of advisors such as Sands Investment Group (SIG) can ensure that you have specialized support and guidance every step of the way. Want to learn more about NNN properties for sale and speak with an industry expert about financing a single tenant net lease property? Get in touch with an expert today by calling 844.4.SIG.NNN or sending us an email at info@SIGnnn.com.